Buy Schools & Youth Groups online - Let Loose! 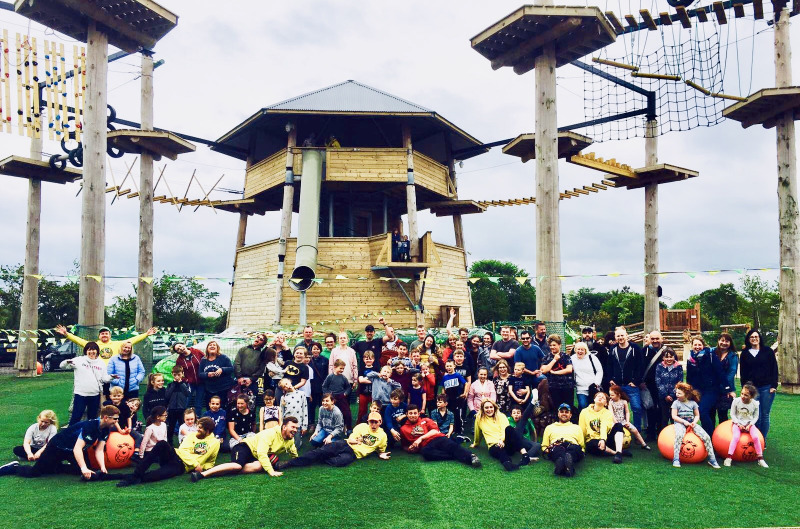 This special half day includes Off Ground Guided Activities that may include the following: Low or High Ropes, Big Leap & Super Slide, Climbing and Adventure Challenges that builds Leaders, encourages group communication and cooperation, and builds on National Curriculum Content. We have a covered area for a picnic and a Cafe for the grown ups. **We require 10 days notice to book this event - if less please email us. Proof of status is required. Our 'Stay & Play' option is a 3 hour session on Wednesday, Thursday and Friday during school Term Time that includes Structured Games with our Adventure Guides, Unlimited Big Leap & Super Slide and Adventure Challenges. This session is perfect for an End of Term Treat, Reward Event or just a Special Day out. We have a picnic area and a Cafe for treats! Proof of status is required. This full day at Let Loose! Activities is a perfect opportunity for all to learn how to set and achieve their own goals, as well as show support for their peers. Let our Adventure Guides help to take everyone to their limits and beyond. You will learn to take risks and identify areas for personal development that cover: Health & Well Being, Behaviour Management, Sport and Environmental Studies and a tonne of other benefits. We will feed and water your group and push them to the limits of fun and challenge! **We require 10 days notice to book this event - if less please email us. Proof of status is required. Please be careful to book for the correct number as amendments will be charged. Our 'Stay & Play' Holiday Special is especially for Youth Groups and is a 3 hour session that includes Structured Games with our Adventure Guides, Unlimited Big Leap & Super Slide and Adventure Challenges. This session is perfect for a Cubs, Brownies, Guides, Scouts and Reward Events or just a Special Day for your Group. We have a picnic area for packed lunches and a Cafe for treats! **We require 10 days notice to book this event - if less please email us. Proof of status is required.